Dementia: Can a “friendly visit” play a role in keeping seniors safe at home? No lives were at stake at a rural emergency medical services headquarters north of Cottage Grove, Wisconsin, on this Tuesday morning – at least, not as they are after a heart attack or a car crash. 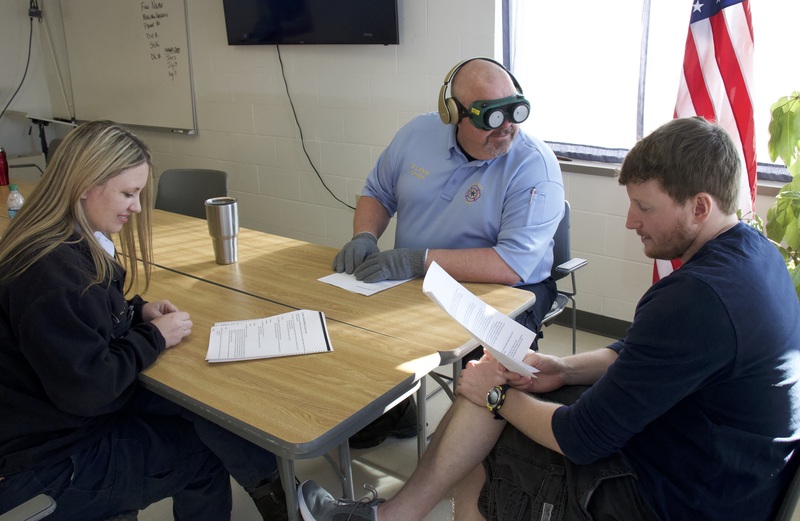 But in another sense, lives were indeed at stake, as five paramedics from Deer-Grove Emergency Medical Service completed the last of 12 hours of training intended to help them become “friendly visitors” with seniors showing signs of dementia. Art Walaszek, a geriatric psychiatrist at UW–Madison, is principal investigator on the Dementia Capable Wisconsin grant at the Alzheimer’s Institute in the University of Wisconsin School of Medicine and Public Health. People with dementia call emergency medical services more than other older adults, sometimes for non-emergencies. The EMS Visitor Program will evaluate whether those calls are reduced once seniors connect to appropriate support in the community. The Deer-Grove program builds on lessons from an earlier training at Fitch-Rona EMS, headquartered in Verona. 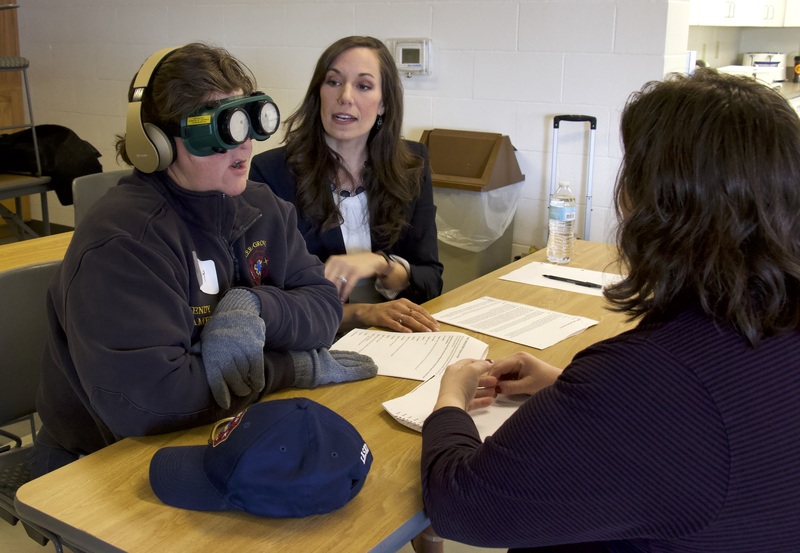 Today’s training began with a dementia simulation, led by Sarah Endicott, a geriatric nurse practitioner at the UW–Madison School of Nursing. The purpose was to immerse EMS staff in the experience of dementia. Each group had “Taylor,” a person with possible dementia, a time-pressed doctor, and a caregiver. 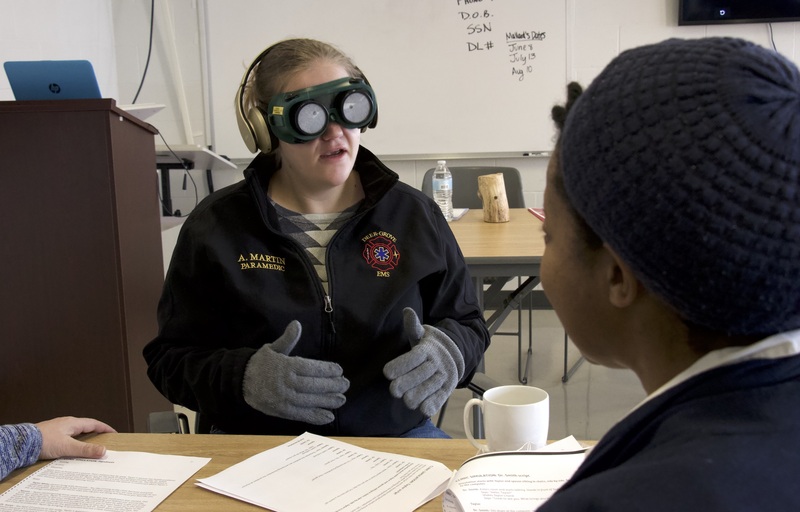 To simulate the limits that often accompany dementia, “Taylor” wore goggles allowing pinhole vision, and earphones supplying confusing noise. After a quick tutorial on some basic principles of communicating with someone with dementia (face the other person, make eye contact, speak clearly, smile and use gestures, be patient, get the person’s attention by using their name), the groups repeated the scenario. The EMS Visitor Program is intended to connect older adults with dementia to supportive programs in the community, making it easier for them to stay at home. 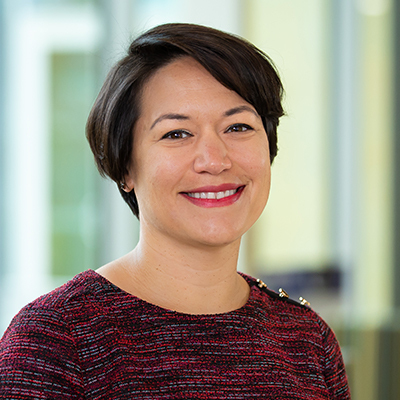 This project of the Wisconsin Alzheimer’s Institute is supported by a grant from Administration for Community Living at the U.S. Department of Health and Human Services.